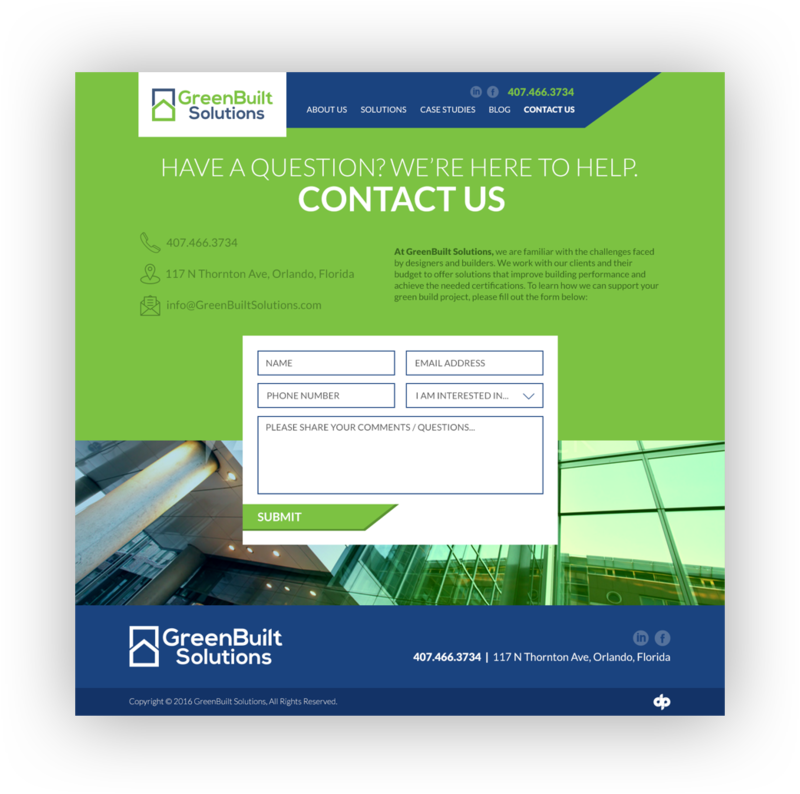 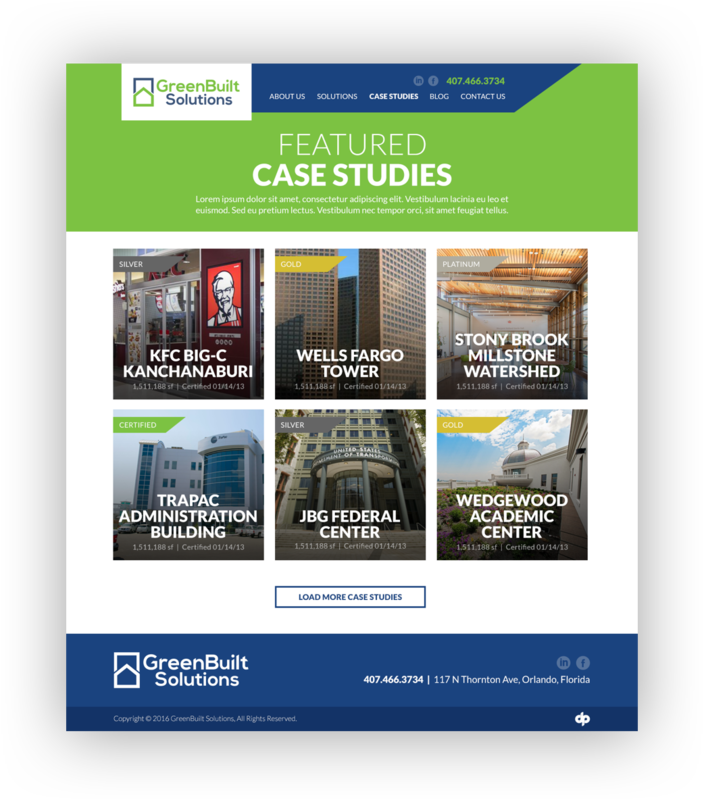 GreenBuilt Solutions came to us wanting a more modern and streamlined brand. 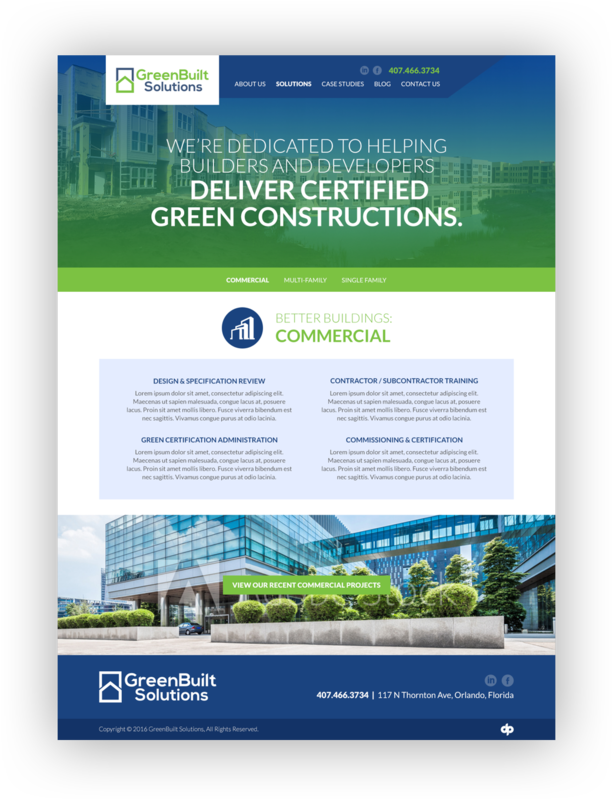 Their goal was to portray themselves as a large company whos main focus is the environment. 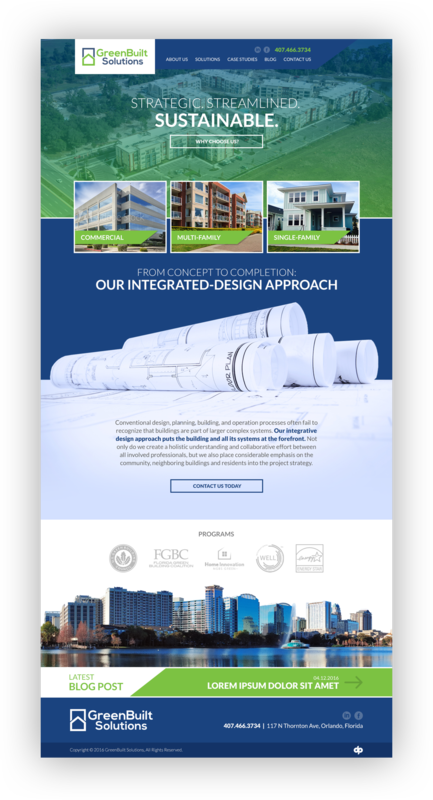 I used bold blues and greens and a mixture of modern gradients to create their new website. 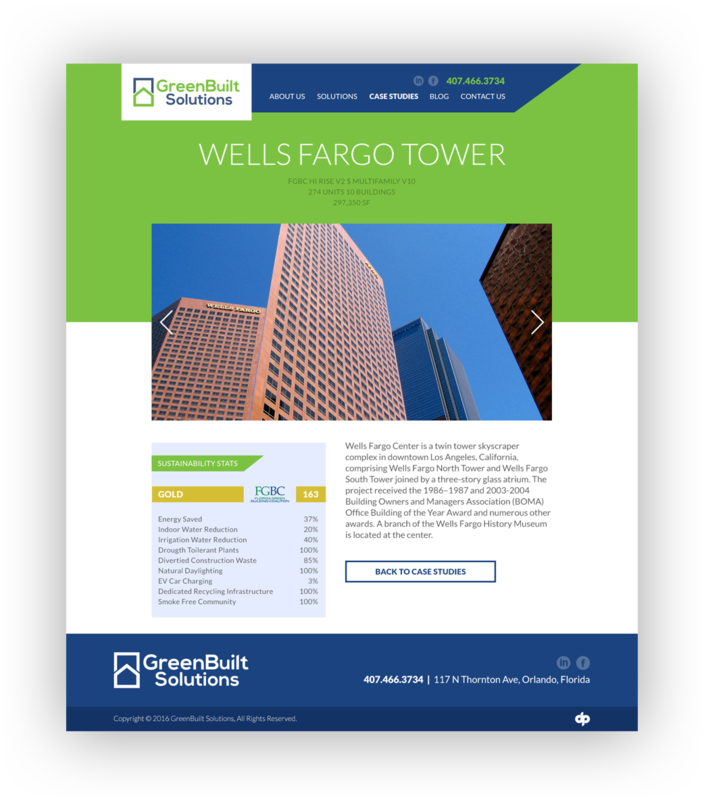 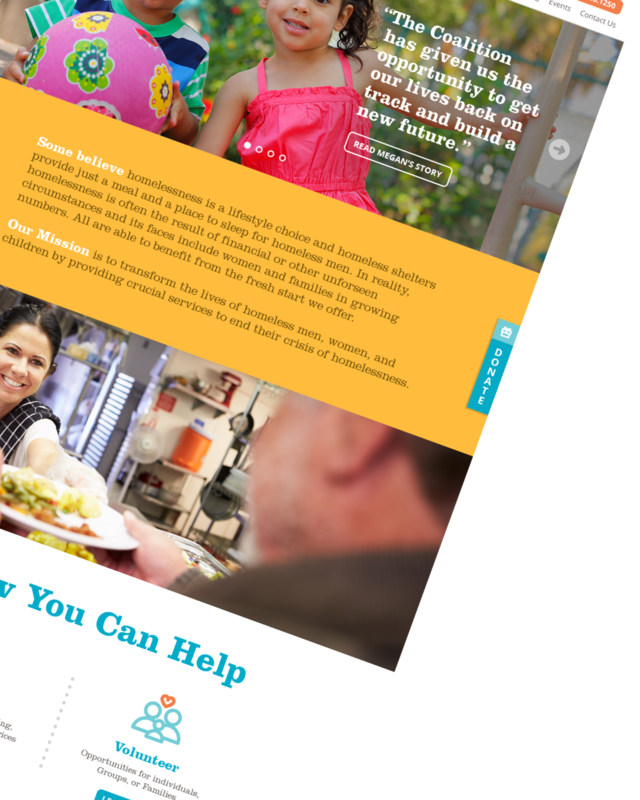 The new design is airy and modern and achieves our design goals.